Big Brother Africa 2019 | Season 10 Housemates, News, Contestants, Live Stream, Polls, Nominations: Elikem Kumordzie: "The Other Side You Need To Know"
Elikem Kumordzie: "The Other Side You Need To Know"
"The practice of forgiveness is our most important contribution to the healing of the world," says Elikem. 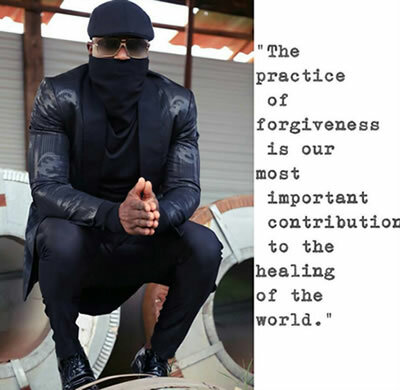 The Big Brother Africa 2013 finalist believes that forgiveness could the first most important step to building a beautiful world that allows co-existence. It surely seems fatherhood has by far rubbed off well on the Ghanaian popular tailor. Being blessed with a son courtesy of his union with Pokello Nare is starting to pay off. Elikem is one of the most loved and sought after ex-Big Brother housemate basically for the way he entertained Africa while on continental telly and his showmance with Zimbabwean business woman Pokello that catapulted into their current relationship.